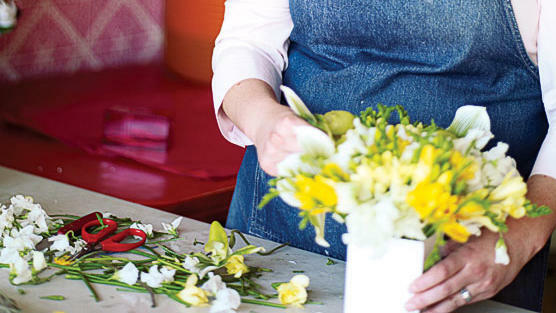 With a name like Erin Rosenow, it’s no wonder she became a floral designer. 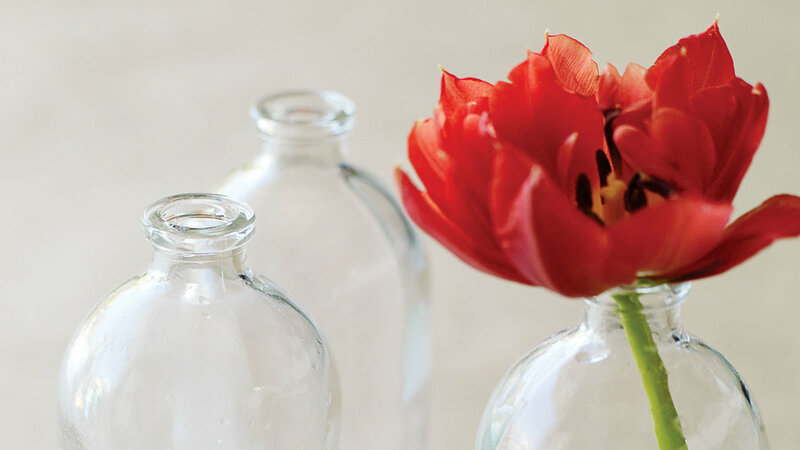 Fortuitous name aside, we’re obsessed with Rosenow and her eponymous floral-design studio for the beautiful arrangements she makes using everyday objects, such as old tomato jars, as vases. 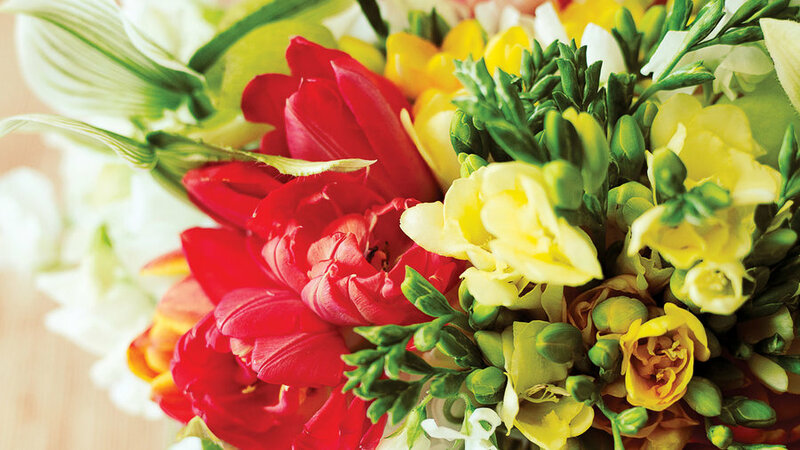 You don’t need a fancy shop to make designer bouquets and arrangements. A sink, some counter space, and a drawer for tools will do nicely. Rosenow recommends devoting one or two shelves in a kitchen cabinet for storing extra vases, and having a green bin handy for composting clippings. 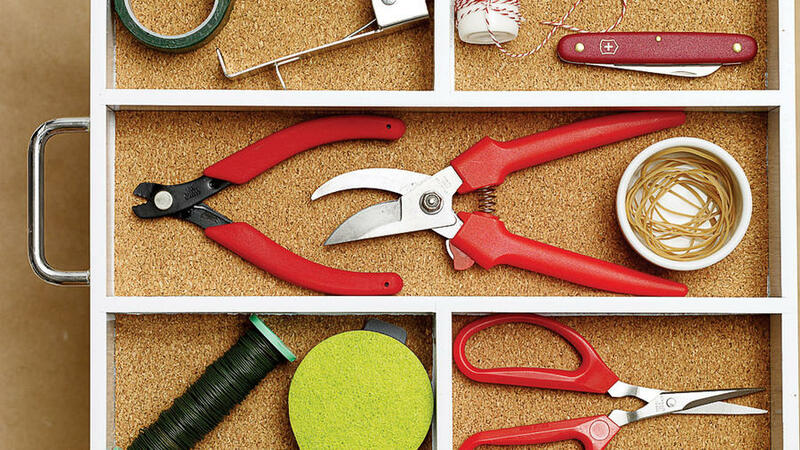 Find tools at floral-supply or craft stores—we like save-on-crafts.com and redrock nursery.com. “I like to have multiple bud vases on hand,” says Rosenow, who snapped up these vintage bottles at a gift shop (similar diffuser bottles $3 each at save-on-crafts.com). 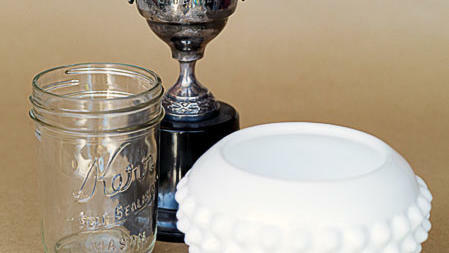 “I like any type of vintage vessel,” says Rosenow, whose vases include flea-market finds like old trophies and milk glass. 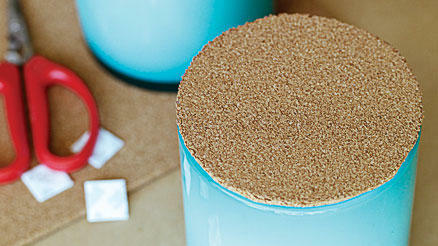 “It’s helpful to make a grid when you are using a vase that has a wide mouth,” says Rosenow. 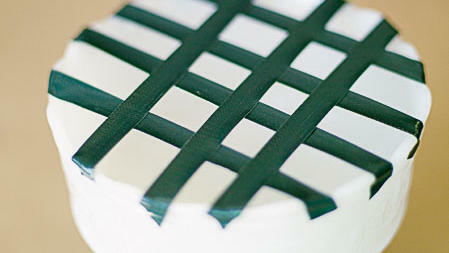 Attach with small pieces of double-stick foam mounting tape.